Tea Happiness- A blog on tea drinking, tea history, tea industry interviews, NYC tea experiences! 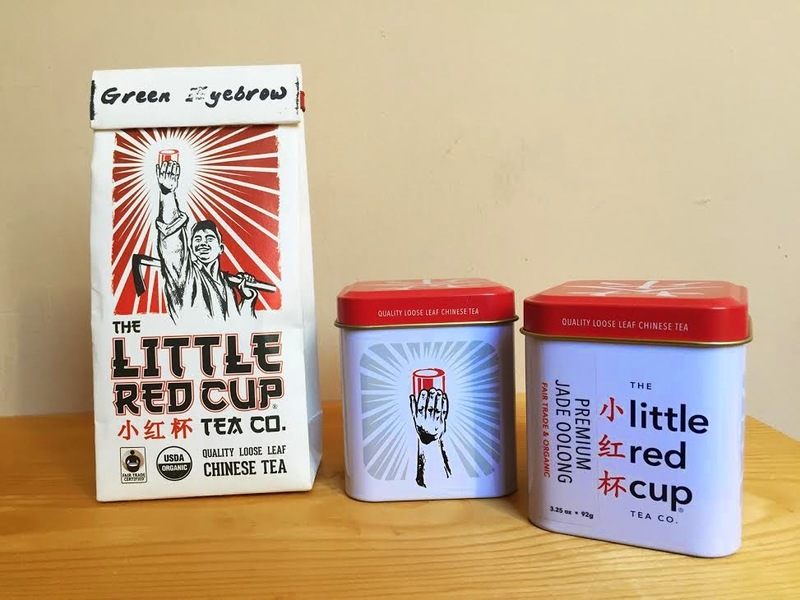 : Interview: Martin Connelly of Little Red Cup Tea Co.
Interview: Martin Connelly of Little Red Cup Tea Co. 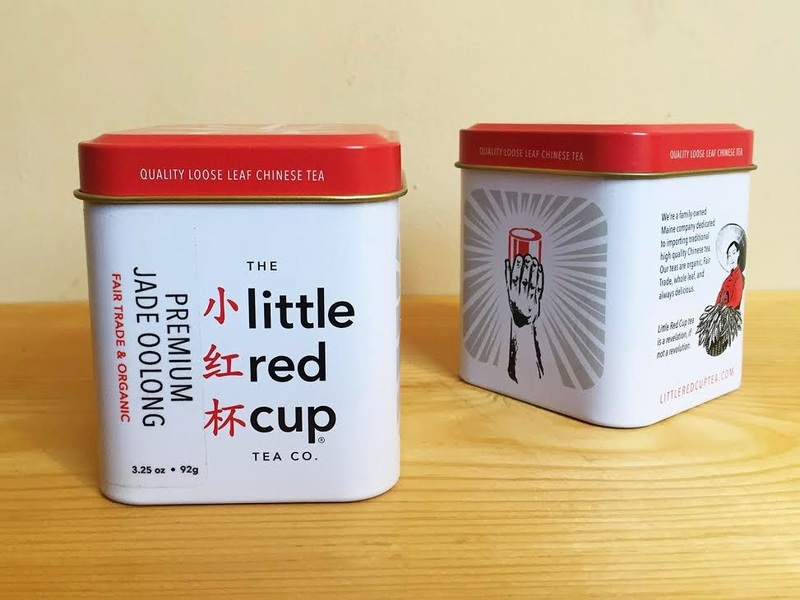 This week's interview is with Martin Connelly of Little Red Cup Tea Co. Little Red Cup offers simple, 'every-day drinking' teas, inspired by the large amount of time Martin spent living in China. 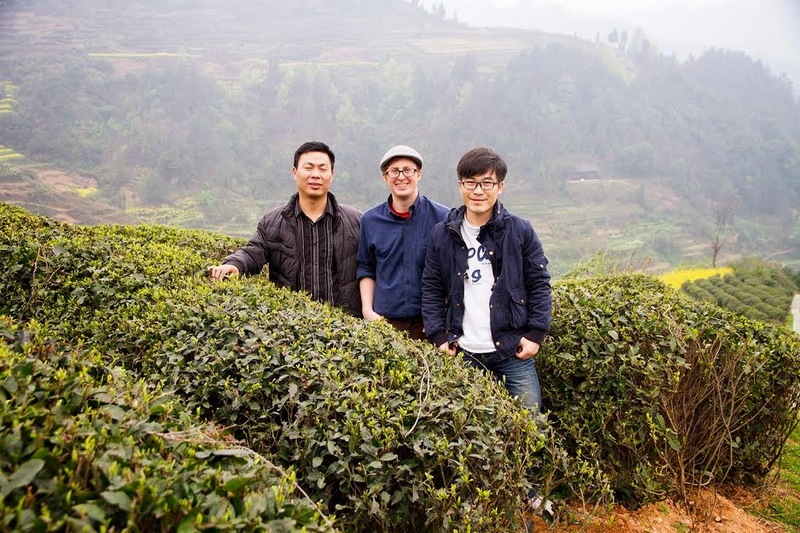 He is passionate about tea, and how it evokes history and meaning in each cup. Part of what we're trying to do is to use tea to communicate a little bit about Chinese Culture -- something beyond the IP infringement, pollution, and political stories that you tend to get in the day-to-day news. It's not that those stories aren't true or important, but I think they create this view of China as a totally alien place.... So if we can use tea to talk about life in China, I think that challenges the image of the country as this big scary monolithic Orient. And if we're going to do that, it makes a lot of sense to import and sell the tea that people actually drink in China. Photo Courtesy of Little Red Cup Tea Co.
Why did you start a tea company? I thought it would be fun, and it seemed like a good excuse to bounce around in southern China! And, I mean, I love tea. I grew up spending a lot of time in China and I travelled back and forth through college and after, and I realized around 2009 my box of tea was running low because I hadn't been back east in a while. I'd never bought tea in the US before, and at that point there wasn't a lot of Chinese tea on the market. I was coming around to the idea that I probably wasn't going to move back to China permanently, so starting a business that would establish a connection to the country was very appealing. What sustainable practices are you using? We've thought about sustainability from the beginning — both in terms of the tea (it's 100% organic) and our packaging (it's all been as recyclable as possible). As a small business, that's pretty much what we can do — if we grew to scale we could realize further sustainability and efficiencies — but we'd need to be moving many tons a year to find those economies. The packaging problem has plagued me from the beginning. We started in un-lined paper, which was very recyclable but not particularly good on store or pantry shelves. From there we moved to a glassine lined paper sacks — those are still out on shelves and they've been much better. One of the tricky things is that almost all of the stock packaging is mixed paper and plastic -- which makes it impossible to recycle anywhere. Anything with a plastic lining pretty much has to be thrown out, but that's also what's standard in the industry. Finding the glassine-lined paper was a huge undertaking. This year we're moving into tins — which are harder to recycle but easier to re-use, and I think they'll be good thing for us and for our customers. In terms of the tea, we're organic all the way. Why is it important to offer ‘everyday drinking’ teas and teas without added flavors? Part of what we're trying to do is to use tea to communicate a little bit about Chinese Culture -- something beyond the IP infringement, pollution, and political stories that you tend to get in the day-to-day news. It's not that those stories aren't true or important, but I think they create this view of China as a totally alien place. People in the Unites States are still scared of China. My experience living there has been very different, and much more personal. So if we can use tea to talk about life in China, I think that challenges the image of the country as this big scary monolithic Orient. And if we're going to do that, it makes a lot of sense to import and sell the tea that people actually drink in China. Actually, that kind of answers the every day part too. There are some absurdly expensive teas out there, and they are absolutely delicious. But if the goal is to sell the tea that people actually drink, those super-fancy teas would be a poor representative of what the country is drinking. As it is, our teas are nice, nicer than a cab driver might have in his thermos, and nicer than what a group of retired chess players might sip in the park. But our teas are closer to those than to what could only be found in the cabinet of one of the newly super wealthy. This is getting long winded, but the other side of the pricing is this: I personally drink a lot of tea, and I think many of our customers do too. There are excellent Chinese teas to bring out for special occasions and for guests, and we're moving towards importing a few of those. But mostly, we want to focus primarily on teas that our customers (and we) can happily drink every day. How do you select the teas that you sell? When we're looking for new teas we usually start with a phone call, making introductions to a co-op. After a bit of communication, we try samples — and then the next step would be a visit. It usually takes a couple days to meet the managers of the cooperatives, to see the factories, and to get out into the fields to talk to the women (it's almost always women) picking the tea. Honestly, those trips are the best part of the whole business, and we'll never buy tea without making a trip out to origin first. We choose teas that we like, and that we think other people might like, that fall into our general price range. I recently tasted all of our teas in pretty quick succession while working on our new brewing guidelines, and I realized that one commonality across the spectrum was that, with one exception, they're all quite sweet. Beyond that, we're trying to offer a small but diverse range — something for everyone, but not more than we need. Right now we have 11 teas. I bet we'll max-out at 18 or so. What are your favorite teas to drink? It's hard to pick favorites, but I'm very partial to our White Monkey, our Oolong, and, if there are people to share it with, our Premium White Peony. Every morning I get up, let the dog out into the back yard, and put on the kettle. I usually make a big pot of something, and then my wife will take half of it to work in her thermos, and I'll drink the rest over the course of the morning. I like making tea for friends, and I like drinking tea. On the weekends if I'm feeling like there's a little more time I'll take out the tea tray and a gongfu pot and drink some of the tea that I've been gifted. I have a cupboard full of tea I’ve collected over trips to China that isn't what we sell, and that's fun to go through when there's time and someone to share it with. How did you come up with your bold logo and graphics? We wanted something that was clearly Chinese without being something obvious — something that said "Made In China" without using the great wall or a leaf and a bud or something. Our branding is also constantly in development. We have new type as of this year, and our new tins zoom in to just the hand holding the cup. At the same time, we're using our "tea girl" more, and I think that's a good change. She’s a little softer, but she's still pretty rad. What can we expect to see from Little Red Cup in the future? More of the same! We're sticking to Chinese teas — organic and fair trade. We'll hopefully add a pu-erh next year, and another black tea as well. Like I said before, we're easing into bringing in slightly fancier bring-out-for-guests teas, so maybe we'll add another in our premium line. Did you grow up drinking tea? If so, can you share your favorite early tea memory? I grew up drinking tea as a default — we were in China, so tea was just a constant. I remember there was a year where Long Spout Pots were really trendy in Beijing. I wanted one to bring back to the US, so we went to the local restaurant that used them to ask where we could get one. I'm not sure how, but we ended up back in the kitchens, buying one of theirs instead. That might have been the first time I was fully in a back kitchen at a restaurant, and I distinctly remember the veritable jet engines they had firing under the woks. It was great. Thank you so much for taking the time to tell us more about your company, Martin! For more about Little Red Cup Co, you can visit their website. I enjoy your interviews, Sara. Thanks so much for the chance to chat, Sara! @Georgia — Glad you like the tins! We're super excited, and we'll be rolling them out in about a week!